Sometimes perspective can fool our sight and make us see things in a different way. In some cases, we are used to seeing the world from our eyes and do not really perceive the magnitude of what surrounds us, or in the case of these images, how big things can be compared to us, and how small we are in this world. 1. 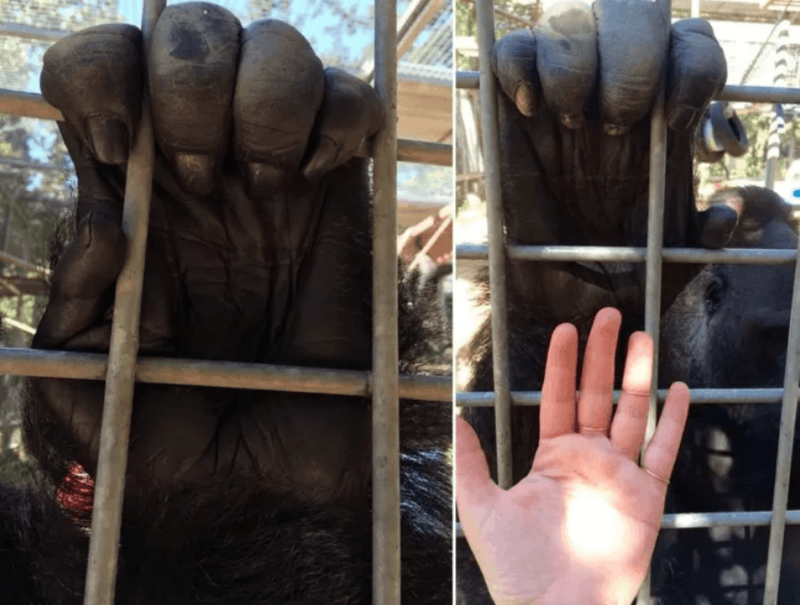 We all know that gorillas are really big creatures, but maybe you had not really considered the difference in size. 2. 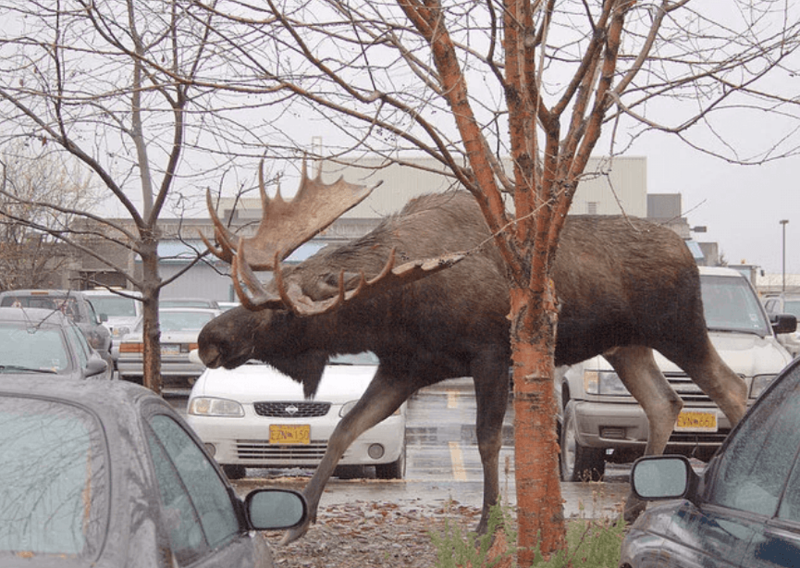 Have you ever encountered a moose? In the cartoons, they are very friendly, but the truth is that they are really huge. 3. 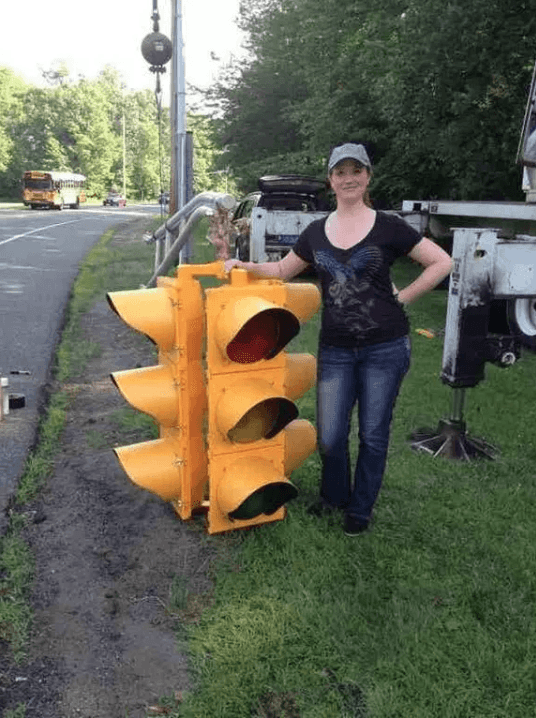 We see so many traffic lights in the distance in our daily routine that we have never stopped to consider the real size of these objects. 4. And the traffic signs are a very similar example. We are very used to seeing them from the comfort of our car. 5. 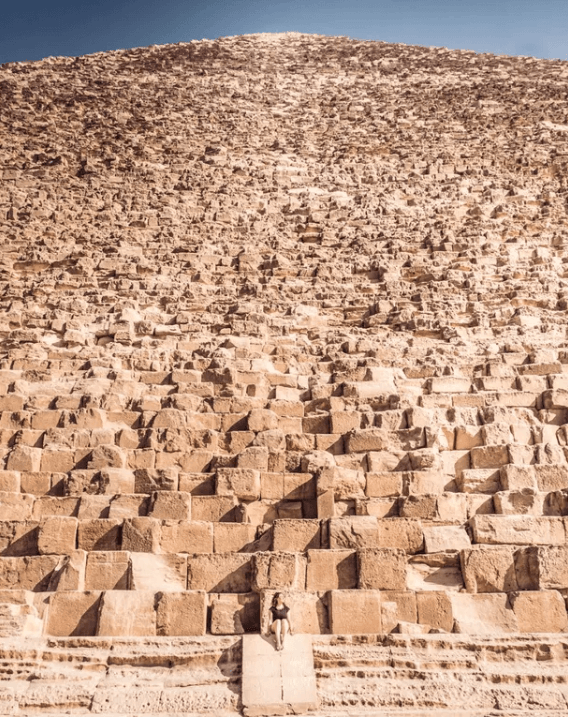 We know that the Great Pyramid of Giza is really big, but surely you can understand better the name if you compare it with a person. 6. 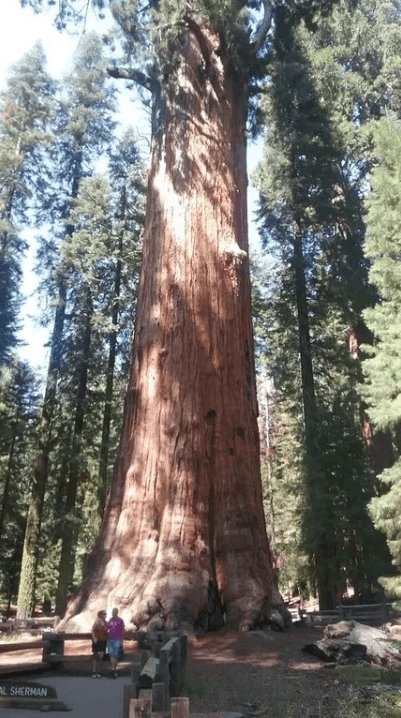 Although we currently populate much of the world, we must not forget that there are trees that have much more time on earth. 7. 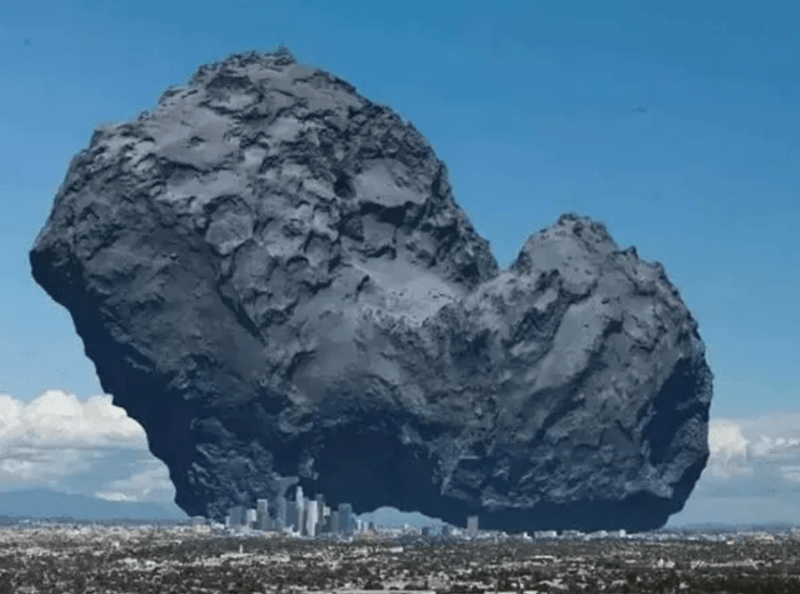 And in space, there are objects much larger than we can imagine, as this comet compared to the city of Los Angeles. 8. 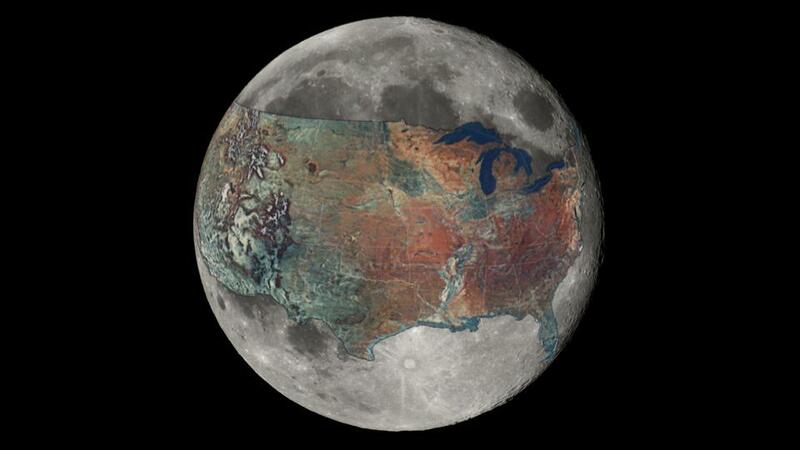 Take for example the Moon by comparing its size with that of the United States of America. We are a bit small, right? 9. 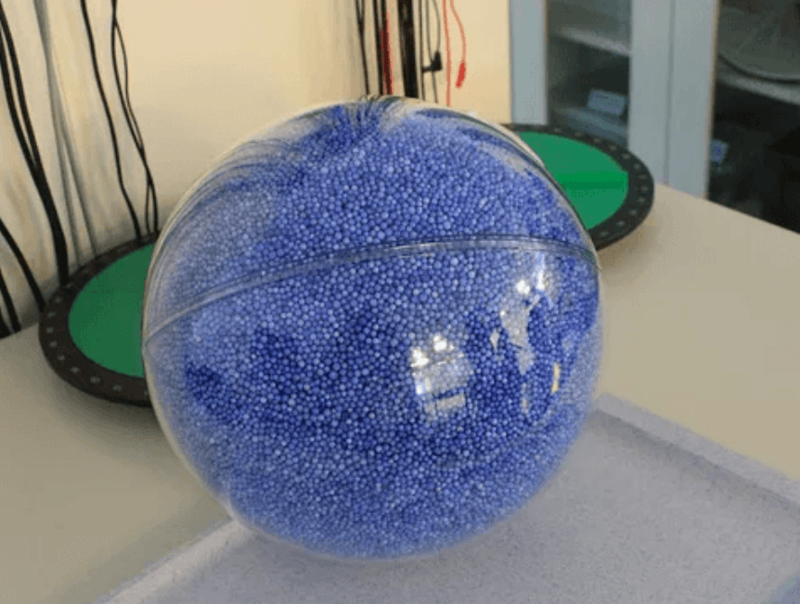 Another example related to space, this is a representation of the number of Earth planets that would fit in our Sun. 10. An example a little closer to our pocket. 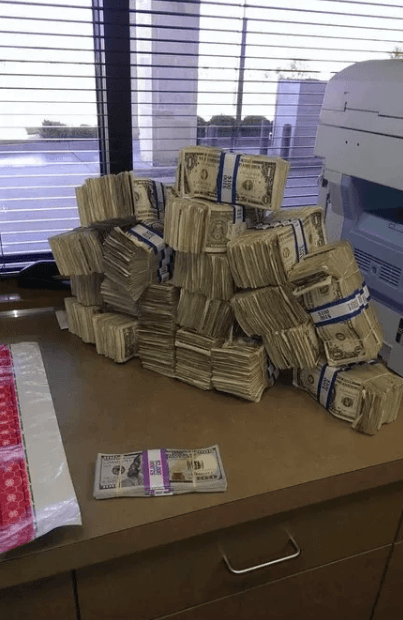 This is the difference between $ 10,000 in $ 100 bills, and $ 10,000 in $ 1 bills. 11. 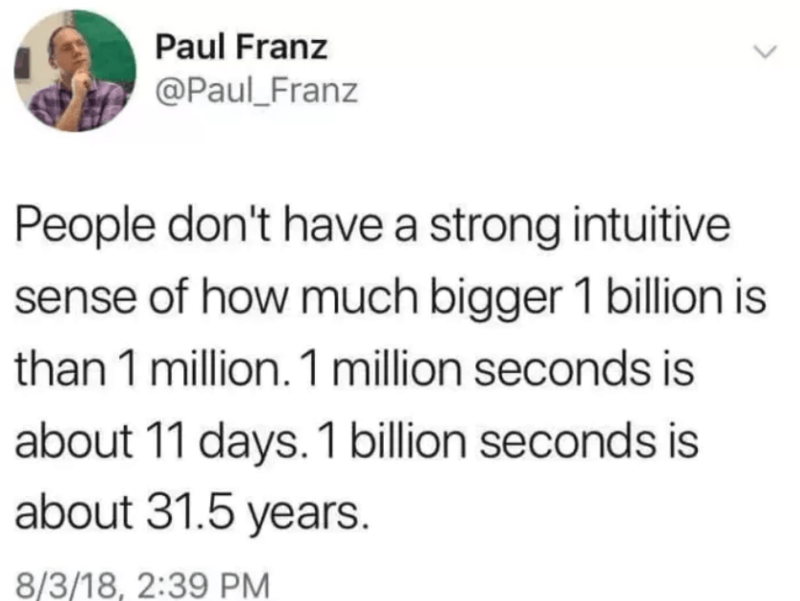 And speaking of numbers and the comparison between them, many people do not understand the true magnitude of a billion. 12. 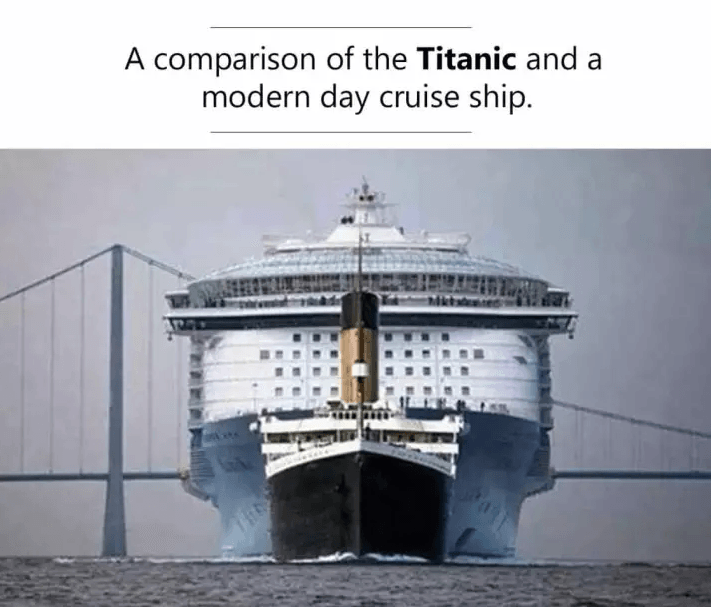 We've all heard the story of Titanic and we've seen the movie, but today's cruise ships are a little bigger. 13. 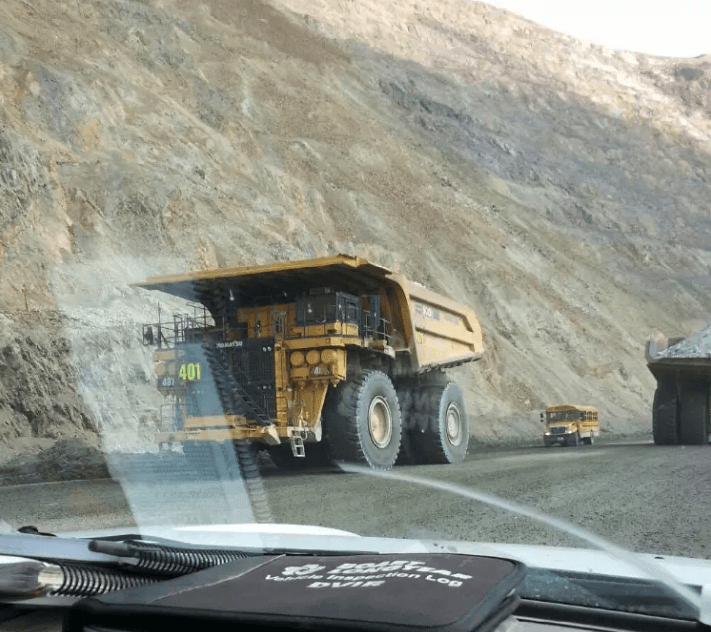 Have you ever seen the giant mining trucks? In this picture, you can compare it with a school bus to see its size. 14. 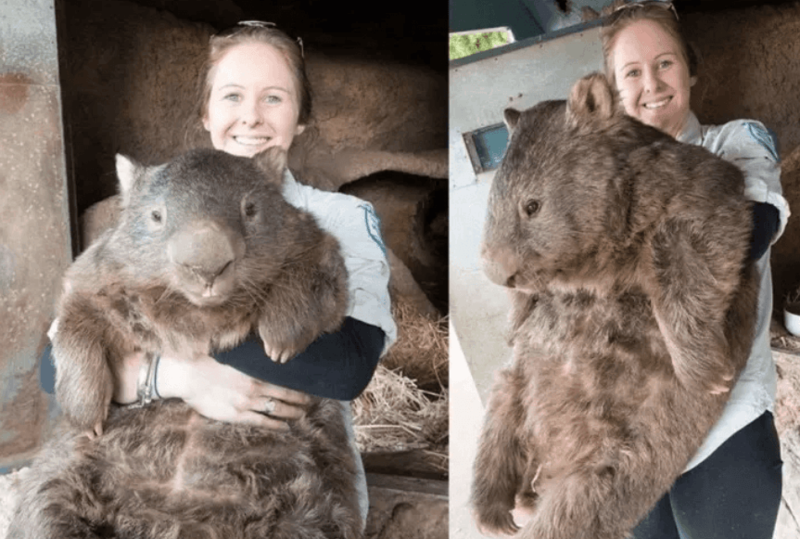 This beautiful and hairy creature is an adult wombat, they live in Australia and their size is compared to their tenderness. 15. 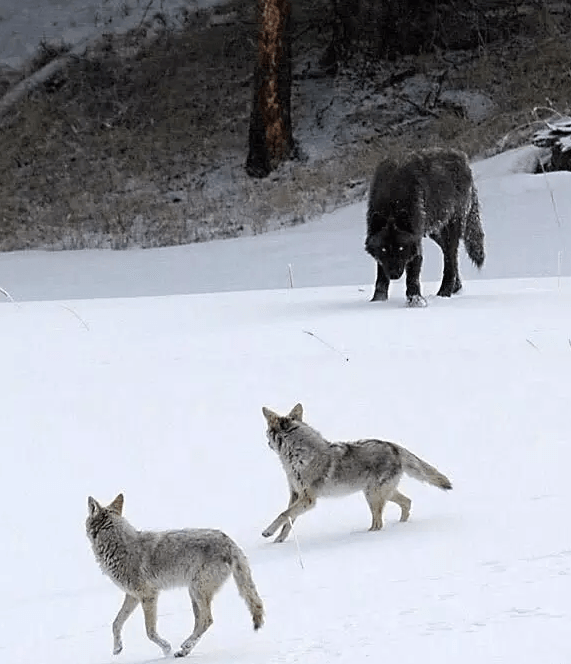 In this image, we can notice the enormous difference in size that exists between the wolves and the coyotes. 16. Have you ever thought about how big bears are? 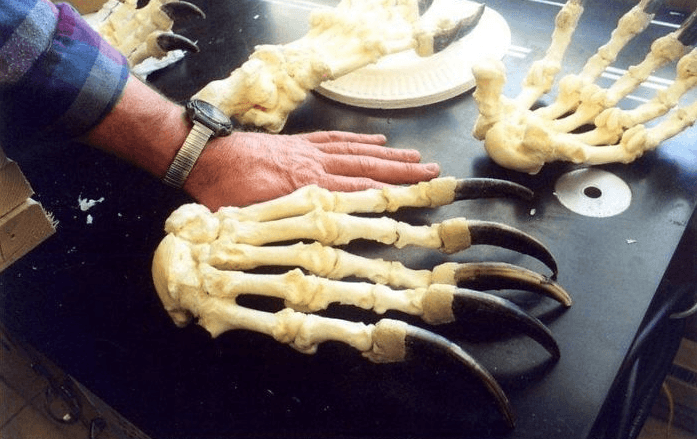 Just to get an idea, look at this comparison of a human hand and bear claws. 17. 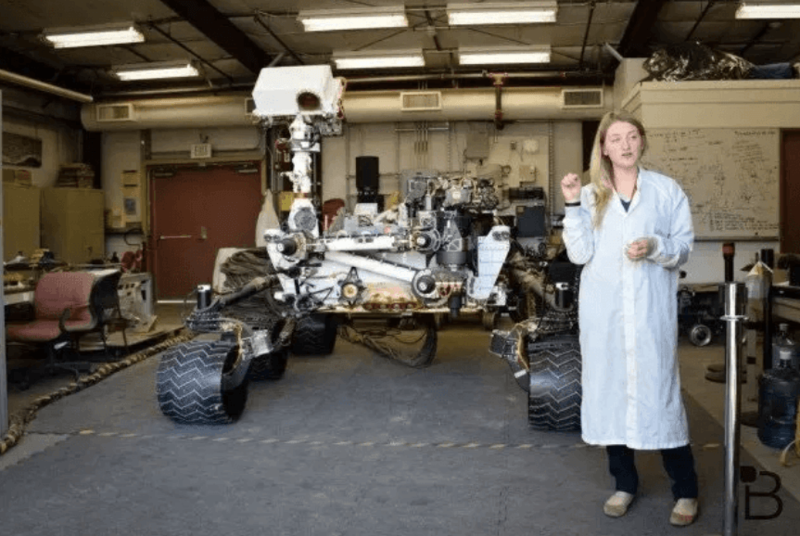 We love seeing images of the Mars Curiosity rover but we have never considered how big and heavy it should be. 18. 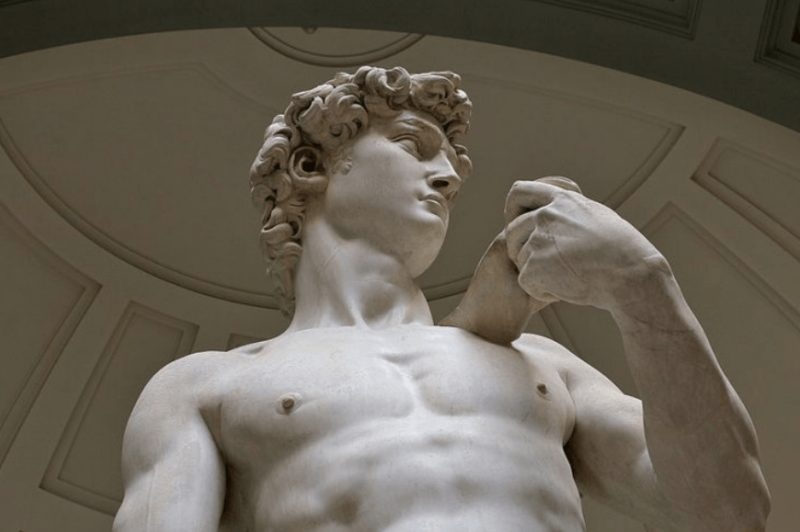 We would all love to be in the presence of this sculpture once and realize in person how small we are. 19. 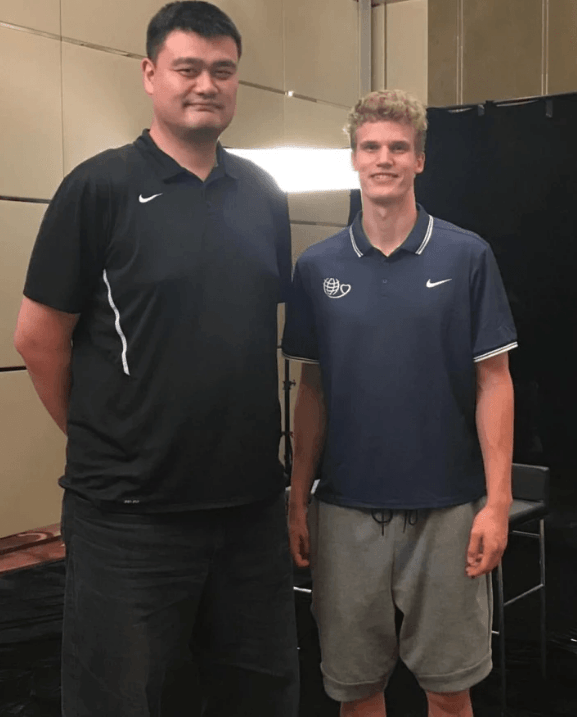 And, if you ever wondered about its actual size, in this picture you can see Yao Ming standing next to a guy who is 7 feet tall. 20. Look at this beautiful animal. 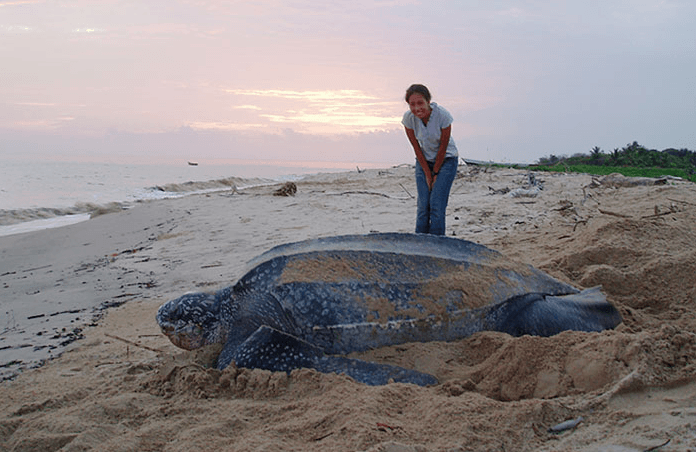 It is a giant leatherback sea turtle, and as you can see, a human looks tiny compared to it. 21. 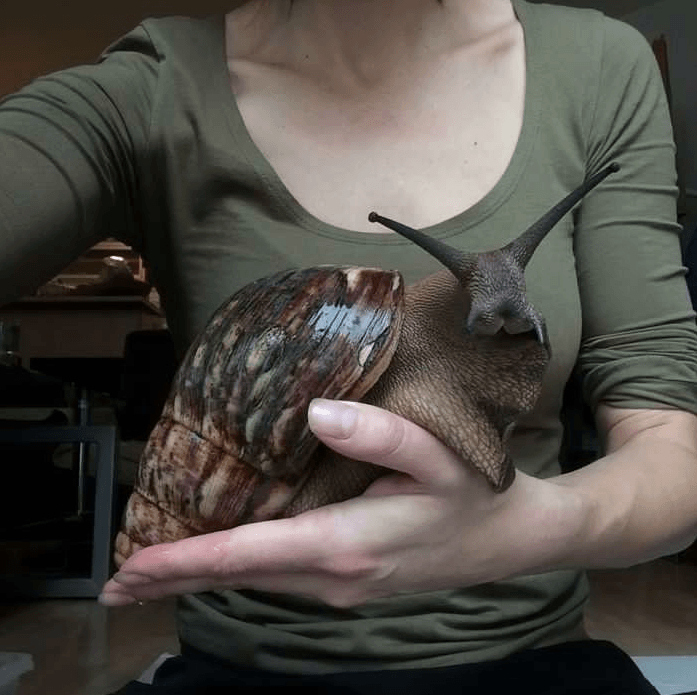 A giant African land snail can be as bigger as a rabbit, but that is something we hardly would imagine. 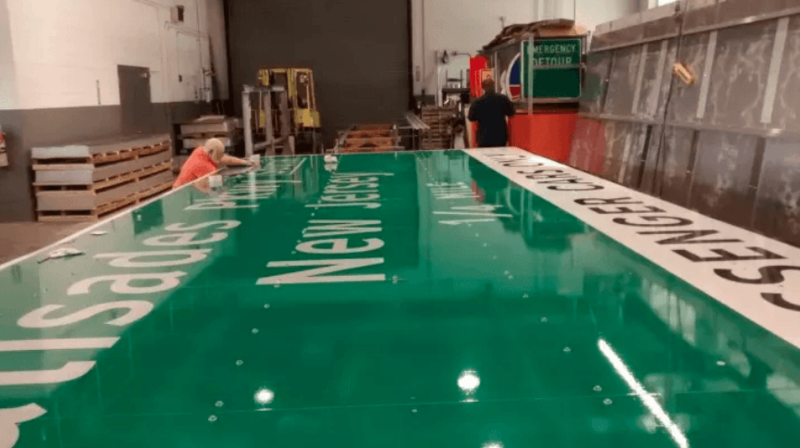 These pictures show us how colossal it is. 22. Eagles are enormous animals, but we often forget how big they actually are. 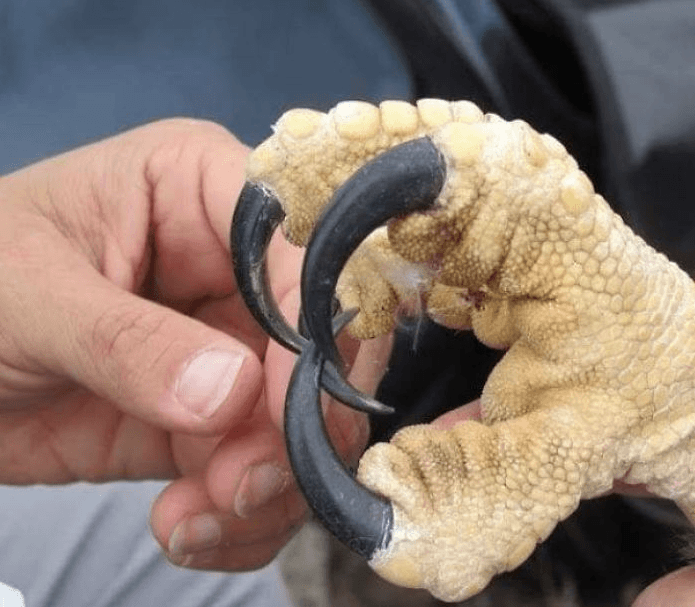 If you compare a human hand with an eagle talon, you will see they are almost the same size. 23. 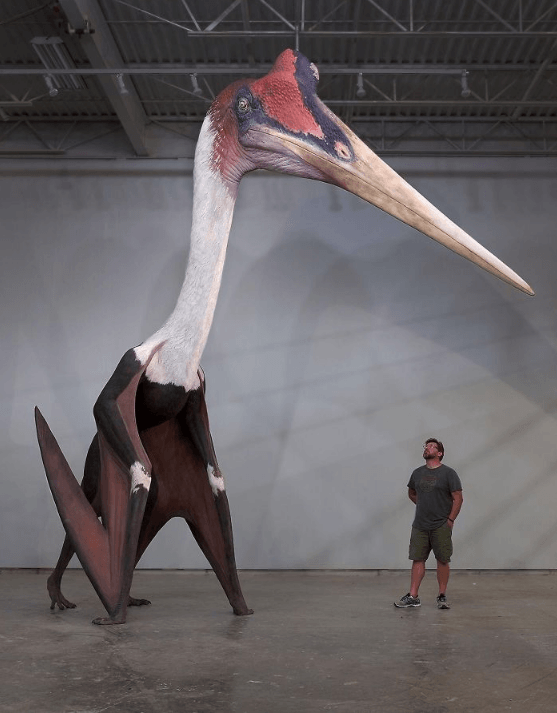 In case you want to have nightmares tonight, this is a Quetzalcoatlus Northropi model next to a 1.8m man. One of the biggest flying animals of all times. 24. 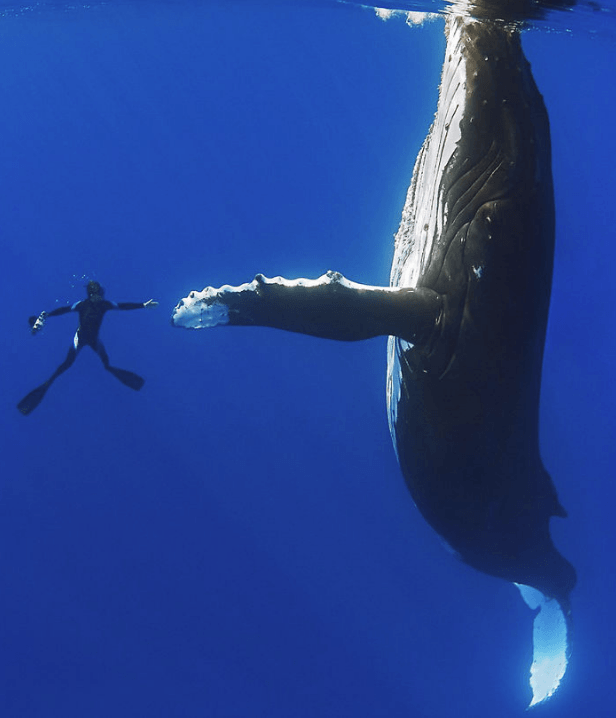 Humpback whales are one of the biggest creatures you can find nowadays. The difference between one of them and the human size is just astonishing. 25. 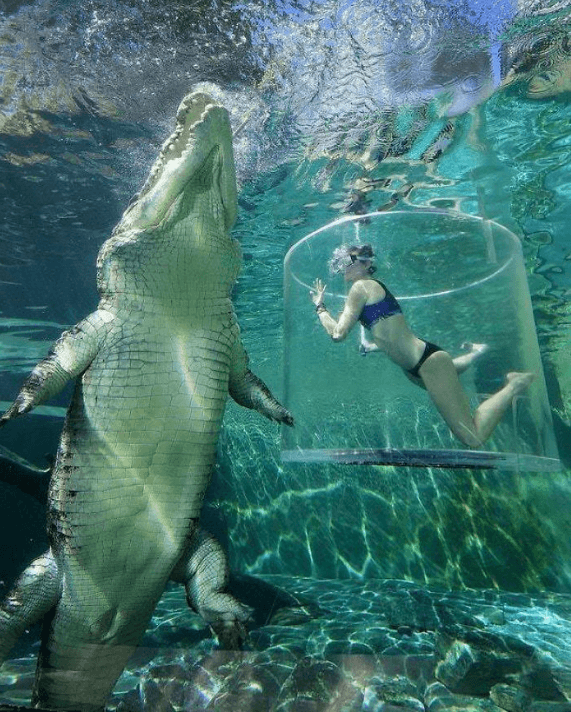 After seeing this picture, you won’t want to cross paths with a saltwater croc. Probably, a human would fit perfectly inside its belly. 26. 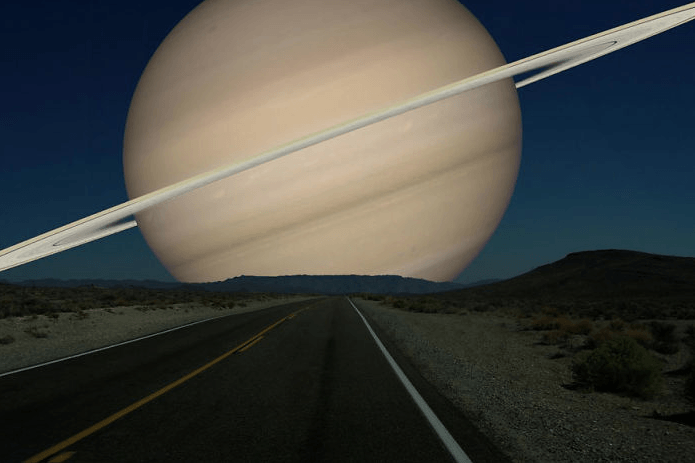 Saturn is so big that if it replaced the moon, this is how the planet would look from earth, despite being at the same distance. 27. 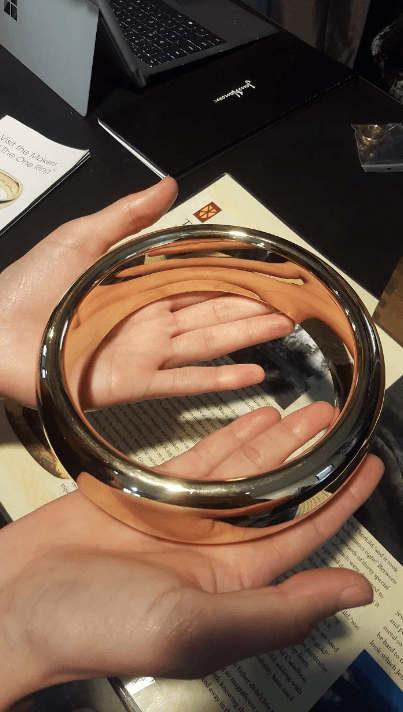 You might remember this ring from The Lord of the Rings movies. This is one of the props they used to shoot the closeup parts. 28. Here it is a good reason to be afraid of wild boars. 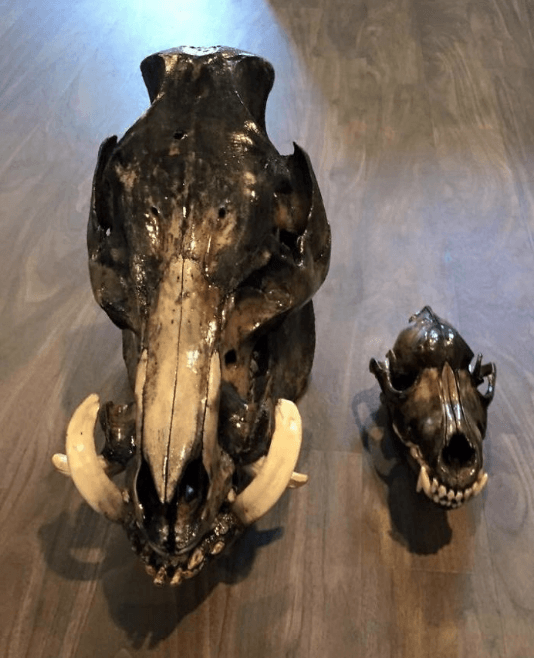 On the left, you will see a wild boar skull, and on the right an adult wolf skull. 29. 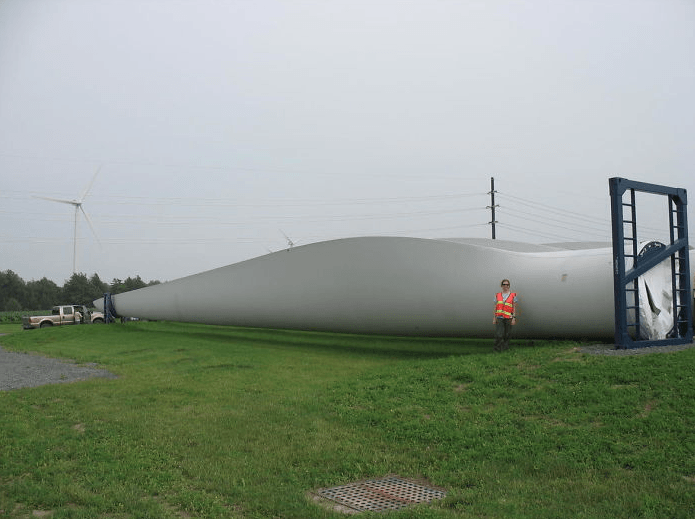 Here is a wind turbine blade and believe it or not, this is small actually. The latest generation for offshore wind parks will exceed 100 meters blade size (110 yards). 30. And again, here is a great picture to have nightmares tonight. 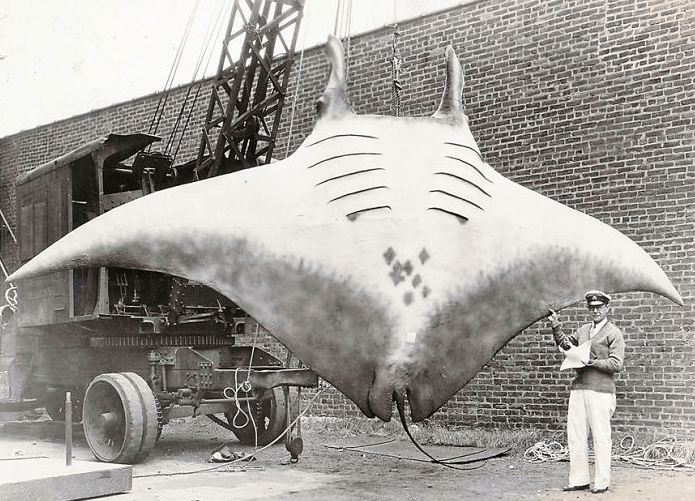 This is a giant oceanic manta ray model, and we can’t imagine how much terror caused among the people when they found one of them. The magnitude of the things that surround us can overwhelm us on some occasions, but they show us how imposing nature can be, how far human constructions and inventions can go, and how important it is to appreciate what we have in our hands, and how far we can go with a little ingenuity.